Increase your safety and visibility with this H11 LED headlight kit. Each single-intensity LED headlight bulb emits 3,000 lumens of cool white illumination. The bulbs feature flexible, vented aluminum fins for excellent heat dissipation, and they have attached drivers. These features allow for a longer-lasting bulb and easier installation without mounting additional parts. Fins can be bent and rotated on the bulb's base for a better fit in tight spaces. The compact bulbs last 13 times longer than halogen bulbs and 3 times longer than HID bulbs. LED arrays in each bulb are designed to mimic the filament in halogen bulbs—creating a closely matched beam style. These waterproof, CAN Bus compatible bulbs operate within a wide 9-32 VDC range. 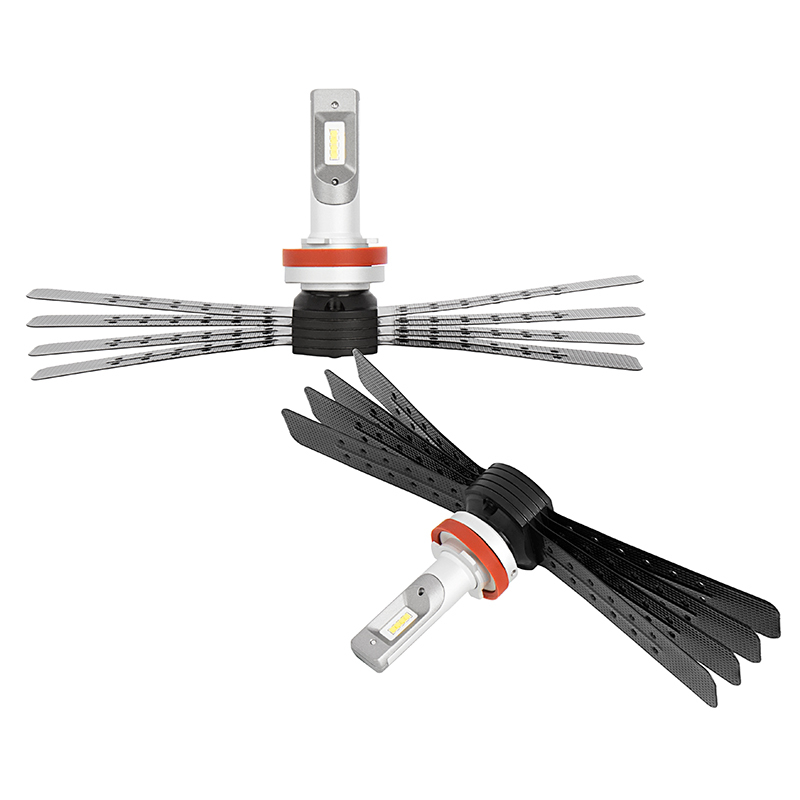 The long-lasting kit includes 2 LED headlight bulbs with H11 plugs and hardware to adjust fins. Price per kit.